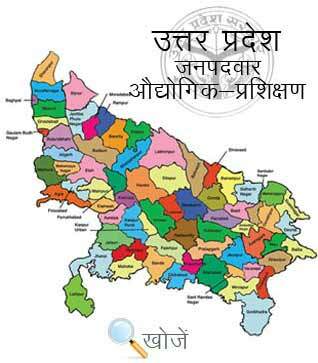 Chandauli is a district in the state of Uttar Pradesh and is a part of Varanasi Division. The district contributes to the Indian GDP by providing various cereals like paddy and wheat. It is also known as “Dhaan Ka Katora” of the state because of its extreme fertile lands of the Gangetic Plains. The district is now on the path of progress and is decked with great infrastructure and good educational institutes. The district has the literacy rate of 73.86%. It has some famous degree colleges like Pandit Kamlapati Tripathi PG College, Savitri Bai Fule Government Degree College, Lal Bahadur Shashtri P.G College etc. are few among many offer higher education to the students. To impart technical skills to the students the district has one Government Industrial Training Institute and nine private ITI’s offering various diploma courses like electrician, fitter, computer, stenography, cutting & Tailoring etc. In the state of Uttar Pradesh Vyavasayik Pareeksha Parishad, (VPPUP) is responsible for conducting the entrance examination for admission to various ITI’s in the state. Its official website is www.vppup.in. The basic qualification to get admission to various courses is matriculation and the minimum age requirement is 14 years. Students can also visit the education portal of www.upiti.in which offers updated information about examination date, important notifications, counselling date, online downloading of application form etc. to save their valuable time.